When a child is born to unmarried parents, the father will not automatically have parental rights or responsibilities for that child. Paternity will have to be officially established for the father to claim these rights and be held responsible for the financially supporting the child. At Sutherland Law Firm, LLC, our Las Cruces family attorneys have decades of experienced representing women and men in paternity cases. Diligent and compassionate, our lawyers can help you successfully navigate your paternity case, protecting your rights and interests at every step of the process. We are ready to help you resolve your paternity case so you can focus on the next chapter of your life. Getting a court order to establish paternity – When paternity is disputed, either the mother or the potential father can request an official court order to establish paternity. This process can involve DNA testing to confirm or rule out paternity, as well as court hearings. When DNA tests are ordered, they typically involve non-invasive methods, like swabbing the child’s and potential father’s cheeks and testing the saliva samples. Benefits of Establishing Paternity: Why Pursue a Paternity Case? 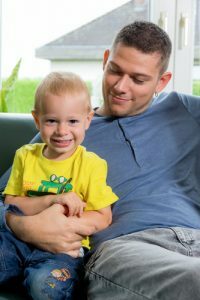 The father to seek custody – With paternity established, the father can petition the court for legal and physical custody of his child. New Mexico family courts are generally inclined to divide custody between the mother and father when it serves the best interests of the child. Both parents to financially contribute to the child’s upbringing and welfare – The mother and/or the father can seek child support from the court once paternity has been established. How and when child support is awarded by the court will depend on the custody split, the income of each parent and other factors. Please be aware that establishing paternity may also provide a child and the mother with a way to access important information regarding the family medical history associated with the father. To make sure your rights and interests are fully protected in your paternity case, contact an Las Cruces family lawyer at Sutherland Law Firm, LLC. Call 505-293-9333 or email our firm. Experienced and insightful, our attorneys are ready to discuss your situation, needs and concerns and explain your options for proceeding. With 40 years of family law experience, we have the knowledge and skills you can count on for effective advocacy throughout the course of your paternity case. From offices based in Las Cruces, we provide the highest quality counsel and representation to clients throughout New Mexico. Our lawyers are also licensed to practice in Texas and Michigan.